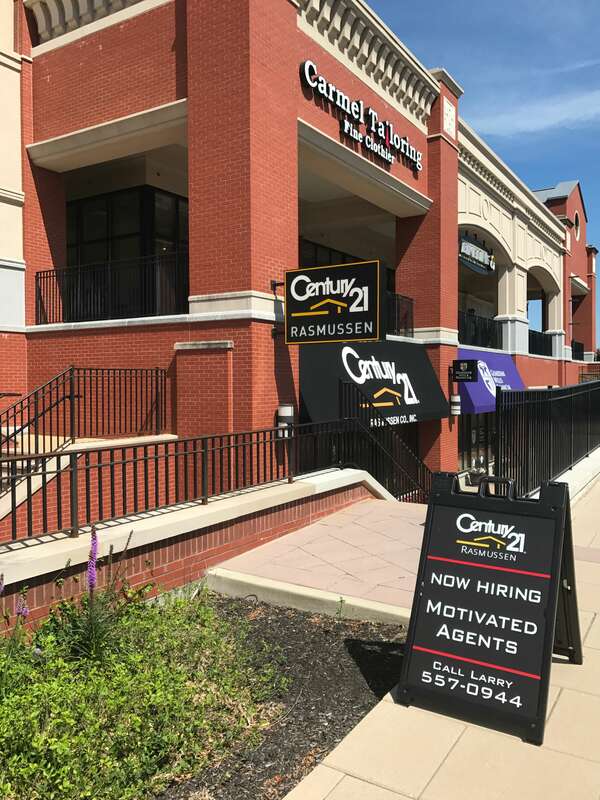 Carmel City Center | Century 21 Rasmussen – Join our Team! Century 21 Rasmussen – Join our Team! Home \ Century 21 Rasmussen – Join our Team! Do you love building relationships, have high energy and are interested in helping people find their dream home? Century 21-Rasmussen, led by Larry Rasmussen Co., Inc., is a leading real estate agency located within Carmel City Center, providing real estate services for over 35 years in Central Indiana. With over 27 million dollars sold in 2017, the boutique office of Century 21-Rasmussen is looking for new agents to help grow their team! Working at Carmel City Center allows agents to enjoy the downtown city feel that Carmel City Center offers – with restaurants, coffee shops and boutiques right outside the door. Motivated agents have the opportunity to benefit from one-on-one mentorship and training from the most powerful brand in America to guide them through the residential real estate industry. If you are interested in joining the Century 21-Rasmussen team, call Larry at 317-557-0944.